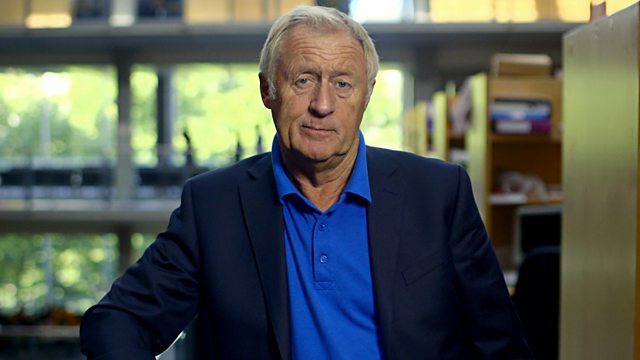 Chris Tarrant presents an appeal on behalf of Asthma UK, a charity which supports millions of people with asthma in the UK, and which funds research to help find a cure. Browse content similar to Asthma UK. Check below for episodes and series from the same categories and more! it's natural, it's what keeps us alive. But some people can't even take that for granted. I know about this because I'm asthmatic. it was one of the most terrifying moments of my life. and that's the worst thing you can do. and as long as I do what the doctors tell me, it's not a problem. But nearly 5½ million people suffer from asthma in the UK alone. From the age of six I really loved dancing, I really loved it. When I was diagnosed, that's when everything stopped. Aged 10, asthma changed Stacian's life completely. I wasn't allowed to play out with the kids any more, like sports. I had to limit everything I was doing. "I want to be normal. Why can't I run like my brothers and sisters?" as even limited exercise led to attacks. I was having hospital admissions three, four times a week. consultant felt it was time to break some very difficult news. and I was going to die. Any minute your next attack will definitely kill you. he died at the age of 26 of asthma. and then I just started breaking down. I did not want to die because I haven't even enjoyed my life. For some people asthma can be a real burden. but also helps sufferers, on a daily basis, handle their condition. because every single day in the UK alone, three people die from asthma. when she was a young child, but with medication she coped fine. she just lived life to the full. But when the family moved to a more rural area, everything changed. She was going to the hospital a lot more. tell us. She always said, "I'm OK."
but nothing could have prepared the family for what would happen next. Aged nine, Sophie had her final asthma attack. It was sudden and all attempts to revive her failed. at nine years of age. Nothing could ever bring back a loved one. from experiencing such a devastating loss. the root causes of this all too common condition. the mysteries of asthma, and finding new and more effective treatments. during that period, I think we're at a really exciting time at the moment. and that's what we really need now. Annette and her family had to come to terms with Sophie's death. But the shadow that asthma had cast over their lives hasn't moved away. and there was a bit of a wheeze and it took us by surprise really. And all I could think of was, "Oh, no, please. "I hope it's just an infection or something." Doctors ran tests, and confirmed that Leah had asthma too. I was absolutely devastated thinking, "Oh, no, could it happen again?" about how to manage Leah's condition. if you think your asthma is not in control. isn't going to happen to everybody. she was making funeral arrangements in her 20s. But then she was thrown a lifeline. was made available to certain patients. I could get up and I could cook. but it has brought Stacian back from the brink. where they don't need to go through what I'm going through today. that current treatments can't help them. free from the fear of dying in the next attack. With your help, it can. the internet then call 0800 011 011.
please, please, please keep trying. by texting DONATE to 70121.
and the whole £10 goes to ASTHMA UK. will charge for these calls. Who Wants to be a Millionaire? presenter Chris Tarrant presents an appeal on behalf of Asthma UK, a charity which provides vital support for the millions of people with asthma in the UK, and which funds groundbreaking research to help find a cure. Asthma UK is a charity close to Chris's heart as he has asthma himself. The film features Stacian Gilbert, a 33-year-old Londoner whose life has been dominated by her asthma. She shares her experiences of how she lives with the constant threat of an attack ending her life, as it did her father's, but how - with the charity's help - she manages to live as full a life as possible. Her hope is that more medical research will one day find a cure.